Who loves a good fairy tale? I know I do. Beauty and the Beast was one of my favorites, so when I saw Beastly, a simple twist on the classic version, I was intrigued. Beastly by Alex Flinn is a modern take of Beauty and the Beast taken from the Beast’s perspective. Have you ever stopped to think what the story looks like from the Beast’s point of view? Or how he actually came to be a beast? This rendition was set in New York City at a rich private school. The main character, Kyle, had it made. At least he thought he did. He was popular, had money and looks that made all the girls swoon. Unfortunately, his outer beauty did not reflect what was going on on the inside. He was turned into a beast and given only 2 years to find someone to love him, who he loved back. There were many differences from the modern tale, but there were also many similarities, like the mirror for example. 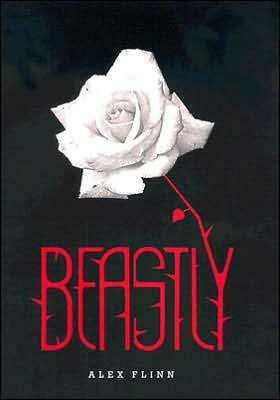 I had fun reading Beastly and picking up on the similarities to the original Beauty and the Beast, as well as, venturing through the newness of what a New York City beast would be like today. The author added fun twists like a chat room full of other fairy tale characters who had experienced a transformation, which made the modern fairy tale concept more present and real. Plus, it was comical to see what these characters would talk about on the internet. This is a great book for anyone, especially enjoyed by young adults. I would highly recommend it.